Nowadays models’ trust into dealing with climate change by using “negative emissions” technologies, such as CCS (Carbon Capture and Storage), may be into question, according to latter news. A recent report from the European Academies Science Advisory Council (EASAC) claimed that the current state of technology cannot compensate for the actual amount of emissions, even with the forecasted cuts and reduction on them. Nonetheless, since the efforts to lessen the use of fossil fuels seem to be insufficient, the attention that researchers are giving to capture climate pollution is consistently growing: alternatives like fertilising the oceans with iron or planting more carbon-absorbing trees keep popping up and taking the issue forward. Problem is, according to the scientific community, that much of the needed technology is still under test and not for the open public, meaning its actual reach capability is way lower than what it should be according to both its potential and the scale needed. For instance, it has been estimated that more than 12 gigatons of carbon dioxide would need to be removed from the atmosphere each year; however, current situation of technology would get to eliminate just a fraction of that. Furthermore, Norton pointed out that the technique required to store that captured carbon below ground is still far from being viable in real life, and showing a slow progress. “Science is not actually making much headway at all”, added. Definitely one of the roots of the slow development of this sector is the shortage of economic incentives to actually carry the industry forward. 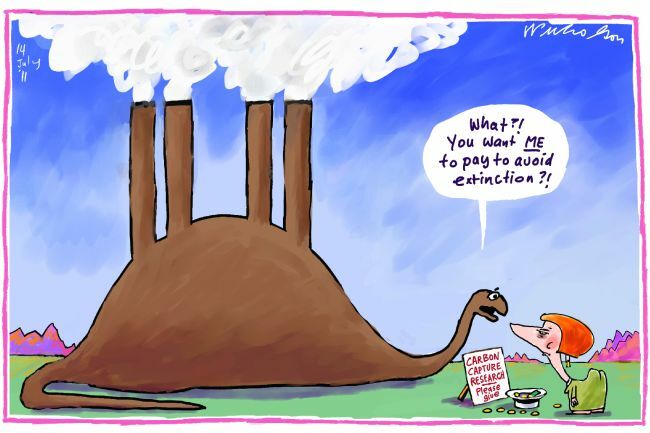 Probably the most flagrant sign of it is the absence of a carbon tax: the fact that most emitters of carbon pollution do not actually pay for that makes it so that they lack a real incentive to actually consider these technologies or to work on cutting their emissions. Nevertheless, despite the lack of progress on the specific sector of carbon capture and storage from both economical and technical sides, it is still researchers’ duty to keep investigating them. Their relevance is going to grow steadily as time goes on and humanity’s effect on the environment stays increasing, worsening also nature’s reactions to our footprint: longer droughts, more devastating floods, a general rising on the sea level… “Every tool in our toolbox may be necessary in the second half of the century to tackle climate change”, warned Norton.